So far tgkvf has created 224 blog entries.  Charleston, WV-The Greater Kanawha Valley Foundation (TGKVF) Board of Trustees approved the distribution of 26 grants totaling $887,047. One of these grants included support to KEYS 4 Healthy Kids to provide garden-based learning and fresh food access to child care centers. While visiting one of this summer’s pop-up farmers’ markets, held as part of the Farm 2 Child Care project, a child wanted additional food and asked about how to grow his food at home. The KEYS 4 Healthy Kids staff learned this child and his four brothers were experiencing food insecurity. As a result of working together, a farmer, KEYS staff, and WVU Extension developed a plan to assist this family. The farmer donated extra food for the brothers to take home for the weekend, and WVU Extension began discussions with the childcare center to offer low-cost cooking classes for families. TGKVF awarded one field-of-interest and four responsive grants totaling $92,600 to Basic Needs and Arts & Culture programs; fifteen grants totaling $642,847 in the Foundation’s proactive priority areas of Education, Health, and Community Economic Development (CED); four West Side of Charleston Initiative grants totaling $123,600; and two special initiative grants for a total of $28,000. This second-year project will continue Coda Mountain Academy’s innovative afterschool tutoring program, Coda Excel, which reinforces foundational concepts of the core curriculum through arts integration. This year’s focus on capacity building and development will increase program support and prepare for significant growth, expected as a result of upcoming school consolidations. Coda is also building a stronger partnership with the health department in drug prevention strategies. Coda programs primarily serve Fayette County. In its second year of TGKVF support, this Western Regional CASA (Court Appointed Special Advocates) project will continue to provide mentoring and educational components for older adolescents in Kanawha, Lincoln, Putnam, and Boone counties. The program serves youth ages 14 to 23. Advocates work to improve post-secondary education readiness by connecting each participant with at least one caring, committed adult. The adults assist the youth in planning for their future. Funds will be used to support advocacy and mentoring efforts. In its second year with TGKVF, this project will provide educators from Boone, Fayette, and Lincoln counties with resources and support, to increase their students’ college/career readiness. The project incorporates face-to-face teacher training, virtual sustained professional development, and implementation of STREAM-focused entrepreneurial activities. Funding will support teacher stipends, teacher and school mini-grants, and Entrepreneurial School certification. The Parents as Teachers Home Visiting Program is an evidenced-based, school readiness intervention that has received its first grant award from TGKVF. These grant funds will support five new home visitors who will receive referrals from community partners. The program will annually support 100 new families and improve school readiness outcomes for at least 300 children. Additionally, home visitors will give each child a book during each home visit to promote reading. This funding will impact families is all six TGKVF counties. This is a fourth-year grant awarded for AmeriCorps on the Frontline, a dropout prevention, mentor-based intervention that addresses student attendance, behavior, and course performance. This program is available in Kanawha County through a partnership among Step by Step Inc., Bob Burdette Center, PRO-Kids Inc., Kanawha County Schools, and The Education Alliance. Funding will support the AmeriCorps mentors and program supplies. This project, in its fourth year of funding from TGKVF, will provide specialized, high-quality afterschool tutoring to dyslexic and reading deficient youth in foster and kinship care in highly distressed areas, with a special emphasis on Clay County. Additionally, funds will be used to offer partial scholarships to dyslexic students who would not otherwise be able to afford the Appalachian Reading Center in South Charleston. Funds will also be used to hire a part-time Accommodations Specialist who will assist the Director in delivering alternate spelling lists to school teachers throughout the area. These lists reinforce dyslexic students’ work, while they’re using the Wilson Reading System. In its fourth year of funding, Keys 4 Healthy Kids will continue to offer Farm 2 Child Care opportunities for childcare centers in Kanawha, Putnam, and Fayette counties, enabling them to continue garden-based learning while adding pop-up farmer’s markets. This project will address childhood obesity, food insecurity, and economic development through local farmers in West Virginia. Fairness West Virginia (FWV) will address the significant health care disparities faced by transgender people, through a series of training sessions for health care professionals in the six-county region covered by TGKVF. FWV will then compile the providers who have undergone training into a transgender-inclusive health care guide. This project is a community effort to improve park elements and increase the number and quality of community events that are hosted. The park is a popular community hub and serves residents of Lincoln and Kanawha counties. This funding will support the installation of a new donated play structure; the resurfacing the basketball and tennis courts; the installation of signage to label and describe native plants; the installation of a maintenance shed; and the addition of natural learning elements. In this newly funded initiative, the American Heart Association’s Stroke Systems of Care program will work with regional hospital and EMS partners in TGKVF’s six-county service area. The partners will collect and evaluate treatment data using Get With The Guidelines-Stroke, provide training to improve outcomes, and coordinate efforts to build and enhance the system of care for strokes through regional task group collaborations. Mountaineer Food Bank will partner with local producers and WVU extension agents to host pop-up markets. The markets will provide fresh produce to selected elementary schools in Boone, Clay, and Fayette counties. This first year of funding from TGKVF will help improve access to nutrient-dense foods that make up a healthy eating pattern, provide education, food samplings, and increase food insecurity awareness and empathy. In its fourth year of TGKVF funding, Try This! will support 63 community-led projects in Boone, Clay, Fayette, Kanawha, Lincoln, and Putnam counties. The 2018 mini-grant cycle welcomed ten new projects in these six counties in TGKVF’s footprint. In its second year of TGKVF funding, the Good Host program will continue to provide comprehensive training for community members seeking employment in West Virginia’s growing hospitality industry. Students will develop a series of robust skills needed to succeed in the hospitality industry. The program is currently recruiting students for its third cohort. The GRID, an acronym for Generate, Renew, Innovate, and Design, is a newly funded initiative that is led by BridgeValley. Located in Montgomery, the GRID offers academic programs utilizing face-to-face, hybrid, and online modalities that support small business development, technology, and creative expression. The GRID also provides space and access to machinery/technology for classes and workshops on a rental basis. Access to Wi-Fi, as well as dedicated office and retail space, are included in the rentals. The GRID is working to create an entrepreneurial ecosystem that capitalizes on the region’s artisan heritage. TGKVF funding will support instruction, coordination, and supplies. This second year of TGKVF funding will be used to support the Step Up for Women Construction Pre-Apprenticeship, a tuition-free 12-week training program of West Virginia Women Work, Inc. The course prepares adult students for nontraditional careers in the construction industry while helping participants overcome barriers to employment. womanSong’s 21st season will offer a diverse array of music with four main concerts in collaboration with local musicians. Performances will include a winter concert, spring concert, and two GoodNight New Year’s Eve concerts. 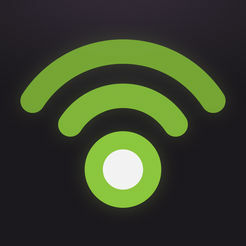 womanSong will utilize this grant funding to purchase music, pay guest instrumentalists, and for scholarship funding. The stART Project is an arts initiative for people experiencing homelessness or at high risk for homelessness in Charleston and surrounding areas. The initiative will provide an environment that encourages creativity and nurtures community positivity. Covenant House and the City of Charleston’s Office of Public Art will provide studio space for individuals to create art with assistance from artist facilitators. Long-term goals include workshops, exhibition, and retail opportunities, and public art projects. Funds will be used to hire artist facilitators for workshops, develop a public art project, and purchase art supplies for project activity. The American Red Cross responds to disasters big and small, from flooding to home fires. The Red Cross provides those affected by disasters with shelter, clothing, and food when they need them most. Planned activities include responding to emergencies quickly to aid in client recovery, as well as public outreach regarding available Red Cross services. Funding will be used to cover the financial assistance given directly to Disaster Service Program clients via assistance cards in TGKVF’s service area. Tyler Mountain/Cross Lanes Community Services (TMCLCS) is a social service agency formed in 1980 by the Cross Lanes Ministerial Association. TGKVF funding will assist low-income households in Cross Lanes and the surrounding area with basic needs through a food pantry, utility assistance, a weekend snack program for students, community garden maintenance, and holiday food baskets. Funding from this grant will serve Housing Innovations Corporation’s senior communities in Kanawha County. These residents often do not have the financial means to meet their basic needs when other unexpected expenses arise. Without these funds, residents are vulnerable to homelessness and unable to remain independent and active in their communities. This grant will provide pantry items (food, cleaning supplies, and personal care) and assistance with acute emergency needs, such as transportation, utilities, and prescriptions. Additionally, grant funds will cover supplies for social/emotional wellness clubs, including games, quilting/sewing, or art. The Gazette-Mail was one of the three original Report for America newsrooms based in Appalachia. In January 2018, Caity Coyne joined the newsroom, tasked explicitly with covering Southern West Virginia, including the areas directly south of Charleston into Boone and Lincoln counties and further south. The Gazette-Mail has many readers in this target area, but the paper has been unable to devote enough resources in recent years. Funding will help to support Coyne’s salary in 2019 as well as employ a second journalist to focus more on Lincoln and Boone counties. Advantage Valley will work with its partners to develop a “pitch book” on potential Opportunity Zone projects within the Kanawha County region. Communities across the country are aggressively documenting real estate and business development opportunities within these newly designated zones and marketing them to newly created Opportunity Funds that are attracting investors interested in limiting their current tax liabilities and looking for returns on their investments. Funding will be used to develop a coordinated marketing plan in order to compete for investment funds adequately. This project will provide the funding to advance the work of the West Side Ward 4 Substance Abuse Prevention Coalition. Specific activities will include the continuation of the monthly and bi-monthly Coalition and Youth Task Force meetings; educational substance abuse prevention presentations to middle school youth in health classes; and the implementation of Teen Summit, Students Against Destructive Decisions (SADD) activities, and drug-free community activities for youth. Zion and the Boys & Girls Club (BGC) seek to improve the Social-Emotional Health of the youth of Charleston’s West Side. Zion staff will gain valuable training and coaching experience while sharing their knowledge of the “Pyramid Model” with BGC. BGC will also host family fun nights and workshops. Additionally, Zion will expand their program with the addition of the Second Step curriculum and increase their trauma-informed practices. These interventions will improve vital skills in children, including problem-solving and emotion management. They will also encourage a climate of social-emotional safety and support. Grant funds will be used to purchase materials and fund training. In its third year of funding, the West Side Grown project will focus on nurturing partnerships that extend the reach of student-focused learning opportunities such as school-based farmers’ markets, and nutritional and agricultural education at nearby schools and out of school time education settings. This project will also secure a permanent location for a farmers’ market on Charleston’s West Side. Due to the incredible generosity of an anonymous donor, The Greater Kanawha Valley Foundation (TGKVF) has for the second year awarded $1 million within 12 months to organizations serving marginalized populations with dental health and emergency aid needs. With this support, more than 27,000 people are being served with food, dental services, addiction recovery, utility and housing assistance, and so much more. With deep gratitude to TGKVF’s anonymous donor, 73,232 items are being provided, 29,828 things are being built or improved, and 18,228 people are learning from presentations and direct client case management. According to Michelle Foster, President and CEO, “TGKVF appreciates the opportunity to partner with this special donor to make life better for so many in our community.” Read further for more detail about each of the awards that were granted in 2018. This funding supports the dental health of low-income children by addressing pain and oral infection via regular dental visits. In many cases, school hygienists screen and assess the dental needs of students and find that children are experiencing painful unaddressed issues. Quite often, students’ families have limited transportation options or financial means to provide for their oral health. Through this grant, low-income children receive increased access to dental services. West Virginia Health Right is a free and charitable clinic serving more than 27,000 West Virginians annually with medical, behavioral, and dental needs. The funding received through this grant offsets the cost of personnel salaries for a mobile dental unit and provides consumable supplies for the onsite clinic in Charleston as well as for the mobile dental unit. Residents from Boone and Clay counties who face economic or geographic barriers that prevent them from accessing the onsite clinic will be served through the mobile dental unit. This funding provides direct dental care to low-income, uninsured adult cancer patients in need of dental clearance to complete cancer treatment. This care will encourage patients to continue to practice good oral health while providing them with the resources to do so. This dental clearance will improve treatment and overall oral health. Now in its second year of support, this project allows Family Care to continue dental programming at Recovery Point of Charleston, a 92-bed facility providing women with long-term, residential recovery services. With this funding, Family Care provides preventive and restorative oral health services to women in recovery from opioid addiction. Project funding focuses on improving children’s oral health via a dental sealant program. When this dental sealant is painted on the chewing surface of back molars, it can prevent cavities for many years. Funding supports school-based dental programs, private dentists, and programs working in collaboration to provide dental sealants to disadvantaged children in Boone, Clay, Fayette, Kanawha, Lincoln, and Putnam counties. Funding for this project helps provide direct care for low-income, uninsured children who are not eligible for Medicaid or the Children’s Health Insurance Program (CHIP). With this grant, Cabin Creek Health Systems works to connect children with a dental home in addition to assisting adult low-income patients with oral health services such as cleanings, fillings, crowns, partials, and dentures. Funding supports the WVU dental school’s work with dentists serving Lincoln County residents to facilitate the provision of oral health care for those without dental insurance or means of payment. This work will also occur in select offices in Chapmanville and Charleston. This grant supports the improvement of oral health for an underserved population in Fayette County, providing adult preventive care, root canals, and fillings. This program will also expand services to reach underserved school-age children who do not have access to dental services due to transportation issues. With this grant, the Women’s Health Center replaced an electronic medical record (EMR) system server that holds critical medical data and home visitation records of low-income clients. This system also powers practice management, patient medical records, appointment scheduling, and billing functions. Without its replacement, the old system may have failed at any moment and severely hampered services to marginalized women. This funding supported bathroom repairs at Samaritan Inn, a transitional home for homeless men and those who are in recovery from addiction. Without the bathroom’s repairs, water would have continued to leak onto lower levels, presenting a safety hazard for residents and staff. During severe flooding in June 2016, the foundation of a building used to prepare, serve, and deliver meals to elderly residents was damaged. This building, owned by the Clay County Commission and rented to the elderly assistance agency for $1 annually, is the only place that provides nutrition services to seniors within the county. The funding assisted with the building’s repairs so that meal services can continue. Project funding supported the construction of a handicap ramp at the Cross Lanes food pantry, which serves financially disadvantaged individuals, families, and seniors. With this increased access to the pantry, those who require services can safely transport pantry orders. The Gabriel Project of West Virginia provides immediate and practical assistance to low-income pregnant women and to families with infants and children two years of age and under. With this grant, the organization was able to purchase a laptop and docking station to document client services. Prior to receiving funding, staff members used personal computers for this task. With this grant, skilled and academically talented students who are at risk of not finishing their education due to unmet living expense needs are supported with emergency aid funding. Funding for transportation is often awarded while housing, utilities, and food costs are also considered. The YWCA Sojourner’s Shelter provides a safe place for women and families experiencing homelessness and for those transitioning out of the shelter who need assistance with household necessities. Funding from this award supports individuals and families who need help with rental deposits and rent, utilities and deposits, and other vital necessities such as bedding, bed frames, mattresses, towels, washcloths, kitchen supplies, and other household items. Funding will also be used for replacement stair treads throughout the facility and other essential equipment and technology. The KENWOOD NX-5300 handheld radios will serve as instantaneous backup to the dispatch radio consoles that are the lifeline of communication for police, firefighters, and medics in the field. In the event of technological failures or other events, these handheld radios turn on within seconds and allow dispatchers and supervisors to monitor several radio frequencies simultaneously. The West Virginia Child Advocacy Network provides guidance, protection, and help to children and families affected by abuse. Funding will provide low-income families with direct assistance related to their emergency needs, including paying rent and filling prescriptions. Often, the primary financial supporter of a family is the perpetrator, which results in an immediate loss of income, insurance, transportation, and perhaps even the family home. In addition, these emergency funds will allow the child advocacy centers to make building or essential equipment repairs if unexpected failures occur within the center. With this funding, the Children’s Home Society, a child welfare organization serving West Virginia, is working to increase the number of licensed Foster Care and Certified Kinship Care homes by 32 homes. In Boone County, 144 children (1 in 36) are in state custody with only 61 foster homes available. In Lincoln County, 129 children (1 in 37) are in state custody with only 112 foster homes are available. These rural counties have fewer community resources, including fewer established foster families. With this grant’s support, Children’s Home Society will offer additional foster family trainings. Funding will support a camp experience at little or no cost for children ages 7 to 17 who may be at high risk for destructive life choices. These campers include those who have been affected by the opioid epidemic, those in the foster care system, and those who have one or more parents incarcerated. Currently a summer day camp, funding will help with cabin upgrades and repairs to allow the camp to operate year round. In collaboration with its Frameworks program, which finds families for children in the foster care system, this grant will enable Mission West Virginia to assist caregivers in covering the costs of basic necessities for the youth in their care. There is often not financial assistance to provide care for additional children for a caregiver who may already be on a fixed income. This emergency assistance for youth care will help to alleviate strain on the household budget so that funds can be directed for food, housing, and utility costs. With this grant, Community Care of West Virginia, a federally qualified health clinic, will replace equipment at its free fitness center adjacent to the Clay primary office. The clinic saw improvements in patients’ BMI, fasting blood glucose, blood pressure, and depression while using the fitness center, and now sees direct consequences due to the lack of access to the equipment. The funding also allows for social determinants interventions, which provide direct assistance to low-income families with emergency utility and prescription needs. Funding for this project supports the construction of six showers and a laundry room at the Cross Lanes United Methodist Church, which also houses a basic needs assistance program. Having these facilities will allow the church to function as an emergency shelter, host disaster recovery teams, and serve as a relief station for flood, fire, and other natural disaster survivors. Funding supports the Risen Lord Catholic Church’s Food Pantry and Backpack Program in Clay County. The program serves 120 elementary school students weekly with backpacks containing food items and snacks. For low-income families, the weekends can pose food insecurity concerns since children are not receiving breakfast and lunch at their schools. Requests for food have increased and the Food Pantry is now serving 150 families each month. This grant provides for additional food and emergency supplies. With this grant, Pro Kids, an afterschool program serving at-risk youth, will launch additional afterschool program sites throughout urban neighborhoods in Charleston. This collaborative effort between Kanawha County Schools and three established afterschool programs will prevent a disruption of services caused by the recent closure of an area afterschool program. Funding will support the placement of up to 90 children at additional after school sites. Without this support, these children would not have a safe place to go after school. Funding will support the continuation of the Emergency Services Program that supports low-income and working poor individuals and families in Kanawha County. The Program will include utility assistance for those with a current disconnect or shut-off notice, rental assistance for those with eviction notices from a landlord, food assistance provided by gift cards to local budget stores, and medication assistance to include maintenance medication for chronic diseases. The United Way 211 system provides free and confidential information and referral for people throughout West Virginia struggling with health and human services related emergencies. The system operates 24 hours a day and seven days a week. Funding will support the promotion of the value of the service among those in crisis. Now housed and managed under United Way of West Virginia collaborative, this funding will strengthen this vital information and referral system. West Virginia Health Right is the state’s largest free and charitable clinic. This funding supports the clinic in providing behavioral health and addiction services to those in recovery and active addiction. Services include medically assisted treatment, individualized recovery coaching, referral to inpatient treatment, access to birth control, health education, and medical/dental/pharmaceutical care for 75 low-income uninsured or underinsured women and men who identify as drug addicted, are of child bearing age, or have recently had a child. All of these services will be provided at no charge to the patient. Manna Meal is Charleston’s largest soup kitchen and serves meals 365 days a year, no questions asked. This funding provides direct access to emergency food and two prepared meals per day for low-income families, senior citizens, the homeless, and individuals with disabilities primarily in Kanawha County. Funding will also replace essential equipment such as kitchen appliances. West Virginia State University is collaborating with multiple agencies to address the region’s opioid addiction crisis. Funding will provide health services to Kanawha County residents who are in recovery from substance use/abuse. The twelve-month project will address inadequate dental care, housing, nutrition education, workforce development, parenting, and other issues the target population faces. Charleston, WV: The Greater Kanawha Valley Foundation (TGKVF) elected Georgette Rashid George to their Board of Trustees at the December 12, 2018 meeting. She will serve a five-year term. The Board has 13 elected Trustees and includes Dr. Michelle Foster, President and CEO of the Foundation. Georgette Rashid George is a principal in many retail, office, and hotel business enterprises where she manages the administrative and financial operations. She serves on several boards including WV Regional Tech Park, Summit Financial Group, Inc./Summit Community Bank, and the Tamarack Foundation. A graduate of Vanderbilt University, Georgette is also a member of the Federal Reserve WV Advisory Community Bank for the Fifth District. 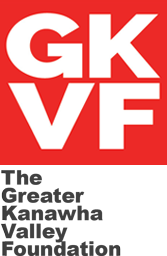 TGKVF is the largest community foundation in Central Appalachia and celebrated its 56th anniversary in 2018. The Foundation has approximately $250 million in assets under management and over 500 philanthropic funds. TGKVF is a 501 c (3) tax-exempt, organization and ranks 82nd among community foundations in the United States. Jane Powell has a conversation with Margaret Taylor, Director of YWCA’s Sojourner’s Shelter. They discuss the services provide by the YWCA for Charleston’s homeless women and families. Through receiving a Greater Kanawha Valley Scholarship my freshman year (2016-17), I gained the confidence to push myself in the academic setting and farther. I aspire to become a prominent leader in the state of West Virginia by pursuing philanthropic activities, being goal-oriented, and making lasting connections. Furthermore, through the help of the Greater Kanawha Valley foundation and all of the individuals involved I understand the potential of altruistic deeds- helping others especially in a time of need and dependency. Without receiving the financial help that the foundation granted my Freshman year, I would not be able to experience college without having to take out loans. I am extremely grateful and appreciative of the funding that I received from the generous foundation. When I am financially able, I am committed to paying it forward, like foundation and others has done for me. Upon finishing, I will be the first college graduate in my immediate family. With financial help from the GKVF, I am able to attend college with less debt and discover my full potential. I am a dedicated and ambitious second semester sophomore who is maintaining a 4.0 GPA, works as a peer writing and comprehension tutor, does regular volunteer work at the Marion County Humane Society, involved in community and club based activities, and is a part of the Fairmont State Honors Program. I am majoring in finance and my prospects are to be a Financial Assistant. I will help others through the hardest times of their lives by helping them understand the important element of finance. I wanted to personally thank the Greater Kanawha Valley Foundation and all benefactors of the Leopold and Elizabeth Marmet Scholarship. I will be graduating from graduate school in Nuclear Engineering this spring and working for the national government in Nuclear engineering. This scholarship, from my home state, truly made my college experiences a reality. footsteps. I know that college can be a burden and overwhelming for so many and my support systems made it positive and a remarkable experience. I will always find my way back to WV and provide support to all. As I frequently visit, I want to always make myself available to give back to those that helped me along my pathway to success. If you ever need me as a reference or support to youth, please let me know. I now have 3 patents to my name and travel the world as a help in nuclear securities. Again, your foundation made this possible. Thank you!